July was always a politically turbulent month in Iraq. But the violent protests that have swept South Iraq over the past weeks are unseen, both in terms of size and targets. Ports were blocked, airports closed, provincial government buildings besieged and most striking: the local headquarters of Islamic Shiite parties and Allied militias were attacked. In a recent International Crisis Group report, the death toll is estimated at fifty, and hundreds are injured. The end of the occupation by the Islamic State (ISIS) of a third of Iraq and the recaptured control by government troops of the entire territory, has not brought peace and stability to Mesopotamia. The ruling elite of Iraq has survived Kurdish separatism and Sunni jihadism, but the uprising of its own Shiite base could well become the biggest threat. Since July 8, the oil-rich south is in turmoil. In the scorching heat, tens of thousands of Iraqis are protesting against a shortage of jobs, electricity, water, basic services and unbridled corruption. They have set fire to government buildings and political party offices, blocked roads to oil fields, Najaf airport and the oil port of Um Qasr, the main route from Basra to the Persian Gulf, from where almost all oil tankers depart with Iraqi oil. Also, the two most important border crossings in the south, Safwan with Kuwait and Shalamcheh with Iran, were occupied by the demonstrators. Hundreds of demonstrators tried to block access to major oil-producing facilities, including the West Qurna-1 oil field, operated by Exxon Mobil, the West Qurna-2 oil field, run by the Russian firm Lukoil, and Rumaila, one of the world’s largest oil fields, managed by the Iraqi oil company. The demonstrators also tried to block the main entrance of Siba’s natural gas field in Basra. Again the western press has been guilty of serious undercounting. Such unrest, in the areas of the Islamic Shiite parties that dominate Iraqi politics, does not predict much good. The size and targets of the latest protests indicate displeasure that is much deeper than just simple frustration about a lack of services and jobs. The demonstrators are angry about the failures of the Iraqi political system after 2003 and the lack of competent leadership. So the current crisis is the most serious existential challenge that the Iraqi political elite has to face since the US invasion. Signs of popular annoyance have been visible for a long time. Increasing dissatisfaction with the pitiful state of local services and bad governance has led to periodic demonstrations throughout the country – including the southern Shiite areas – in recent years. 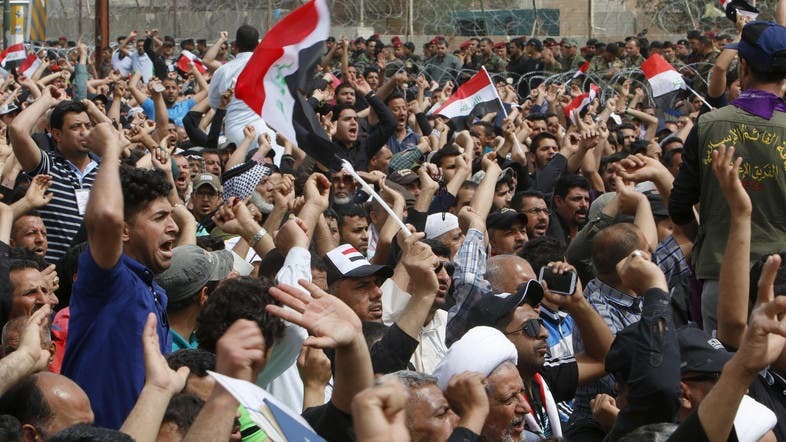 Protests in Basra spread rapidly to other southern provinces in 2015 and culminated in massive demonstrations in Baghdad, where Muqtada al-Sadr and his supporters stormed the Green Zone. Since then there have been smaller demonstrations in the South, which have increased in the past few months. Another sign of the Iraqi disillusionment in the political system was the low turnout at the 12 May elections: officially more than 55 percent of voters boycotted the election, but the real figure will have been considerably higher because many Iraqi have become cynical and voiced their dissatisfaction by voting with their … .. feet. The causes of the alienation with politics are easy to interpret. Years of maladministration, corruption, malfunctioning public facilities, including education and health care, a non-existent rule of law, sectarianism, return to a feudal state, such as the erosion of women’s rights, have undermined confidence in the political elite and their inability to solve the problems of the country. In practice, ‘government of all’ means ‘government for the few’, led by a green zone elite that is no longer trusted by the public. Generational change also contributes to the schism. For the increasingly young population of Iraq, of which nearly 75 percent are younger than 35 years and 60% younger than 24 years, the memories of the Saddam era and the repression are vague. Their political awareness has evolved since 2003 and since then they have been assessing their leaders on government performance. Because the political Islam of the Shiites has lost much of its prestige and influence, not identity, but solid administration has become of the utmost importance for this electorate. The government is watching and doing nothing. The politicians think that in September the popular anger will decrease if the temperatures drop. Behind the walls of the vast green zone of Baghdad, business continues as usual, in air-conditioned palaces. Leaders of Shiite factions quibble about the results of the controversial elections in May and demand a recount. The party bosses meanwhile negotiate about the most lucrative ministries. The story of the uprisings began, simply explained, as a spontaneous uprising in the Shiite militia controlled provinces in the South of Iraq, similar to the Arab Spring of 2011, with the difference that the social layers that have been silent or even benefited from the political preferential treatment of the Shiites over the past 15 years, have now also come into action. The fuse was mainly put to the fire by the middle class and unemployed graduates. Their anger was mainly directed against the ruling Shiite parties in the provinces, because the country does not have a properly functioning central authority. Lawyers, doctors and academics and officials in Najaf and Nasiriyah, for example, participated in the demonstrations. On 8 June there was a demonstration in Basra after a long power outage and a shortage of potable water in a heat wave that reached 50 degrees celsius. The protests escalated when the official authorities ignored the demonstrators, which was seen as an insult to the dignity of the people (especially the notables among them). some government members accused the demonstrators of being Da’ish (IS) supporters and Baathists. Some people then launched an attack on the buildings and party offices of those politicians. The protests quickly spread to 12 of the 18 Iraqi provinces, including Baghdad. This intifada does not appear to have a uniform or clear leadership or slogans, even at the local level. It really looks like an explosion of anger where different currents act together and compete with each other. The governing faction at national level is fragmented within each province, within each institution, within the security forces and militias. The regime has not been able to control the events so far. Rapid reform measures are not possible to help the Shia middle class professionals get to work and provide a prospect of a better life. There seems to have been a new phase in which no one can intervene outside the local communities and the situation in every province varies enormously. Basra is located on a gigantic oilfield, the largest in the world, with large gas reserves. Basra produces an average of 3.2 million barrels per day and Iraq exports an estimated 4.6 million barrels per day via the southern port. The Rumaila field in itself, one of the largest fields in Basra (with 340 oil wells), contains the best oil in the world. Despite the high oil yield in the south of Iraq (in the provinces of Basra, Dhi Qar, Maysan, Muthanna and Wasit), the population has seen little of this wealth. Political parties in Iraq are calling on the government to break free from OPEC and go for unlimited daily production.” The country needs money because it has invested hundreds of billions in fighting and defeating IS, and there is not much left to meet the most basic needs of the population. However, in an ominous warning some Shiite media channels associated with Iran denounced the demonstrators as “infiltrators”, mirroring the Tehran regime’s labeling of popular protests about the bad economic situation in Iran at the beginning of this year. There may be some links between Iranian protests and the protests that are now raging in Iraq. Only a week before the protests in Basra began, there were violent clashes between police and demonstrators in the cities of Abadan and Khorramshahr, less than two hours driving east across the border between Iraq and Iran, about the same problems. Four people were shot by the Iranian Revolutionary Guards on 30 June in Khorramshahr. Demonstrators have accused Abadi of being unable to control the violence of the police, military and paramilitary units, including Iranian Shiite militants supported by Iran in the popular mobilization units (PMF) – a militant group that is now formally part of the Iraqi armed forces. The PMF or Hashd al-Shaabi and its constituent militias often follow only the orders of their own local commanders, or Iranian Islamic Revolutionary Guard (IRGC), and completely undermine the role of the prime minister as commander-in-chief. PMF militants, including the notorious sectarian Asa’ib Ahl ul-Haq militia, the Harakat Hezbollah al-Nujaba group and Kata’ib Hezbollah, all participated in the violent suppression of the protests. This happened after the offices of the authoritative Dawa party and those of the IRGC-affiliated militias had been set on fire by demonstrators in the first week of the protests. Shiite demonstrators cursed various political parties and militant groups as “Iranians” and not as Iraqis, and called them “Safavids”, a reference to the Shiite Persian empire that for centuries fought against the Ottoman Turks for control of Iraq. The use of the term ‘Safavid’ is more associated with Sunni groups that remain critical of the former Persian Empire because of their sectarian pogroms in Baghdad and other cities. The use of this term by Shiite Iraqis is indicative of the extent of the anger against Iranian interventionism in Iraq. Uday al-Zaidy from the province of Dhi Qar, veteran of the 2011 demonstrations, tortured, convicted, imprisoned and laureate of the BRussells Tribunal prize for resistance in 2010, has on 22 July explained the unusual trajectory of the current uprising in the southern provinces. In his usual enthusiastic way, he said that the start was inspired by Iran because of the American embargo against Iranian oil and meant to paralyze Iraq’s oil production. Activists have used the momentum and turned it into an Iraqi nationalist anti-sectarian struggle and the current Intifada is the result. Several observers seem to confirm this. They point out that Iran is responsible not only for reducing electricity and water in the south, but also for inciting the inhabitants of Basra to revolt against the oil companies that recruit too few Iraqi workers. After all, although the Iraqi oil sector accounts for 99 percent of the country’s exports, it represents only 1 percent of jobs in Iraq, and the vast majority of jobs are held by foreigners. Those same observers say that Iran is playing a “dirty game” because the country has promised to create chaos in the region to disrupt oil production and exports in the Gulf as a reaction to Trump”s embargo. South Iraq, despite its wealth of oil and gas, has a major lack of electricity. Basra and other provinces buy electricity from Iran. Iraq has suffered from a shortage of electricity since 1990. Many Iraqis regularly experience power outages – households only get a few hours of electricity a day – despite the fact that billions of dollars have been spent since the US invasion in 2003. Because of mismanagement, corruption and wasting 40 billion dollar to rebuild the electricity grid, Iraq is to date still unable to be self-sufficient. The Iraqi Prime Minister Haider al-Abadi fired his minister of electricity on 29 July. The demonstrators had demanded his departure. It is the umpteenth minister who is being fired. At least two previous ministers of electricity have been accused of corruption, including the signing of many fake contracts for billions of dollars. This resignation will again probably not change anything. With a cosmetic embellishment operation the endemic problem of corrupt politicians is not resolved. Mohamed Fathi, the spokesperson for the Iraqi Ministry of Electricity, announced on 8 July that Iran would cut off its electricity supply to Iraq as a result of Baghdad’s default of more than $ 2 billion in debt to Iran. It is not the first time that Iran has cut off the electricity supply to Iraq. At the beginning of 2017, Iran had already closed its electricity supply to Iraq for not paying debts. In July 2016, debt accrual also led Iran to cut off its electricity supply to Iraq for two months. The power supply was only resumed after Iraq paid part of that debt. Another reason for shutting down the electricity supply is that Iran also suffers from electricity shortages in the capital and some southern cities as a result of the increased electricity consumption in the summer. Saudi Arabia agreed to build a solar power plant and sell the electricity to Iraq at a steep discount to supplies the war-torn country previously bought from the kingdom’s regional arch-rival Iran. The deal, which hasn’t been approved yet by Iraqi authorities, includes building a 3,000-megawatt plant in Saudi Arabia within a year of the signing of the agreement, Iraq’s Ministry of Electricity spokesman Mussab Serri said by phone. Iraq will buy the electricity for $21 per megawatt-hour, or a quarter of what it paid Iran for the imports, Serri said. The question arises why Iraq does not build a solar power plant in its own country? The hostility towards Iran was also caused by the diversion and damming of rivers that originated in Iran. Rice farmers in the areas of Salahiya, Mhanawiya and al-Shamiya in the province of Diwaniyah held protests on June 25, to express their dissatisfaction about their difficult situation, caused by the drought. The farmers’ protests were directed against the decision of the Minister of Agriculture on 17 June to ban the cultivation of eight summer crops: rice, white and yellow corn, sesame, cotton, millet, sunflower seeds and mung beans. According to the ministry, this was due to the reduced water levels of the rivers Tigris and Euphrates. A government decision was also issued on 12 June to suspend rice cultivation in Diwaniyah province. Water can only be used for drinking and garden purposes. In the southern province of Dhi Qar, the Ministry of Agriculture already reduced the area for rice cultivation to half in 2017. Before the invasion by the US, Iraq had abundant water supplies. Not anymore. The neighboring countries, Turkey and ally Iran, started large projects that create serious water scarcity in Iraq through various projects on the two main rivers, the Euphrates and Tigris and their tributaries. “There is no agreement between the countries about sharing the water resources of the two rivers,” said Fadel Al Zubi, Iraqi FAO responsible (the UN Food Organization). “Every neighboring country, whether it is Turkey, Iran or Syria, controls the flow of water to Iraq on the basis of its interests, needs and circumstances, without considering any quota, and in the end the person who pays the price is always the land where the river ends – in this case Iraq, “he said. The water crisis is expected to increase when Turkey starts work on the Ilisu dam on the Tigris. Turkey says that its decades-long project to build 22 dams will be completed by the end of next year. The actions of Iran are also of particular concern for Iraq, according to the Iraqi Deputy Minister of Water Resources Mahdi Rasheed. In total, according to experts, Iran carried out some 14 projects on all tributaries of the Sirwan River. The Sirwan flows into the Tigris. Tehran has also carried out projects on the tributaries that feed the Dukan dam in northern Iraq. The Tigris and the Euphrates contain the most important water resources in Iraq. After having defeated ISIS this year militarily, maintaining peace depends mainly on providing a better future for the Iraqi population. Water is a crucial issue in that effect: more than 80 percent of Iraq’s water goes to agriculture, which feeds more than a third of the population of 37 million people. On 16 July protesters in Basra burned photos of Khomeini and stormed the political offices of the Islamic, Iran-backed Dawa party, Badr organization and the National Wisdom Movement. They demonstrated against Iranian drainage of the Shatt al-Arab stream (the merger of Tigris and Euphrates) that causes salinization of the water in southern Iraq. The total length of Shatt Al Arab is 192 km, and there are Iranian projects on several tributaries that flow into the Shatt al Arab, especially the Karkheh and the Karun. “On three days at the end of May, the president of the counter-terrorism court in Baghdad handled on average 12-13 cases a day and sentenced to death at least ten suspects accused of being members of IS”, according to the news agency Associated Press. The legal system of Iraq remains a joke. Trials only take a few minutes. Few defendants have adequate defense. Evidence is not required for a conviction. Women whose ‘crime’ consists of being married to a member of IS or someone who is suspected of being a member of IS can be locked up and sentenced to death. IS processes are often based on personal resentment and not on actual events. The whole system is a mess. AP reports: “Any allegation that someone has taken up arms for IS can be sentenced to death, even if the evidence is paper thin. The strong dependence on informants is particularly striking, given that some allegations are motivated by personal resentment. Informants never appear before the court Their claims are passed on to the judges in written reports from intelligence services without any form of investigation. Thousands of defendants are quickly dragged through the court, with court cases lasting 10 to 15 minutes, and a third of the cases end with the death penalty. Witnesses are rarely heard and no forensic evidence is presented, which is likely to sent many innocent people to their death. The demonstrations have spread to many provinces, as well as the capital Baghdad. But there have been no comparable protests in the provinces with a majority of Sunni Muslims – and that despite the fact that living conditions are not better in central and northern Iraq, on the contrary. So why are there no protests? When people in Sunni areas started anti-government protests end of 2012, they were peaceful, al-Fahdawi added. “But the government has never responded to our legitimate demands, more than a year,” he says, ultimately enabling the rise of the extremist Islamic State, or ISIS, which base their ideology on a particularly extreme and perverse interpretation of Sunni Islam. ISIS responded to the dissatisfaction of the Sunnis with the Iraqi government, which was then led by Prime Minister Nouri al-Maliki, whose government shot the demonstrators. After the Iraqi army brutally suppressed the protests and peaceful sit-ins, the IS group offered itself as a protector of the Sunnis against the threat of the Shiite-led government. The locals only later discovered the brutal level of extremism practiced by the IS group. “Our living conditions are not different from theirs,” says Iman al-Qaysi, a civil society activist from Mosul who wrote a comment to support the protests on Facebook. “We only get a few hours of water a day and the water is not pure because of the destruction of water purification plants, we only get about three hours of electricity per day and the garbage from the city piles up in the streets because there are no municipal collection services.”, he says. There are also no jobs, al-Qaysi adds, and the people here need work urgently because they need money to rebuild their homes. But he and his neighbors also know that if they dare to protest, they will be greeted with usual insults and threats: terrorists, Baath supporters, extremists. The situation is not so different in other parts of the Sunni provinces. In the province of Salahaddin, the local population has seen the demonstrations in the south, but for the same reasons they have not organized their own protests. They are afraid of the consequences, says Hussam al-Jibouri, a Tikrit resident. at least six people were killed and more than 70 injured on Tuesday, December 19, 2017. They were killed during demonstrations about unpaid civil service salaries, the increasing tensions with Baghdad, for better electricity and water distribution and other public services, in the Kurdish cities of Rania, Sulaymaniyah and Halabja. Government buildings and political party offices were the target and were set on fire and plundered, resulting in injuries and material damage. Videos on social media showed how demonstrators government buildings were burning, as well as party buildings of the Patriotic Union of Kurdistan (PUK) and the Kurdish Democratic Party of Iraq (KDP) in Sulaymaniyah, Kuya and Taktak. Tires and cars were also ablaze. Some videos showed cheering crowds as demonstrators burned posters of former Kurdish president Masoud Barzani. And as if the situation is not bad enough: the rivalry between Iraq and the US has also increased. The current Prime Minister Haider al-Abadi is no longer the favorite candidate of Iran, but he remains the best choice for the US and their regional partners in the Middle East. The big question is then: whose candidate will be the winner, the one of Iran or the one of the USA? Both are determined not to lose and use all available means to promote their own candidate. US ambassadors in the Middle East and the US Special Envoy in Iraq, Brett McGurk, are doing their best to convince the Gulf States of the need to support Haider al-Abadi and Moqtada al-Sadr and to promote them, so they would come to power in the new government, in direct opposition to Iran and its allies in Iraq. The US is asking neighboring countries of Saudi Arabia and Kuwait to provide electricity to Iraq so that the Iranian economy would not benefit from it. “US envoy Brett McGurk visited us in Baghdad and asked us to support Moqtada and Abadi in one coalition to re-elect the current Prime Minister, telling him that Moqtada al-Sadr is unpredictable and can not be considered as reliable. ) policy in Iraq has never been successful and your choices are not in our interest,” said the top two Sunni political authorities in Iraq who were visited by the American envoy. Ambassador McGurk apparently did not like this unexpected answer: if the Iraqi leaders do not stick to the ‘recommendations’ of the US, he threatens with reprisals. “We told Ambassador Brett that if he threatens us, he will not receive any cooperation from us and will create a negative outcome for everyone”. The Sunnis are not the only ones who refuse to support Moqtada and Abadi. The American envoy visited Kurdistan and received similar answers from the Kurdish leaders. The US also calls on Shiite party leaders to cooperate, but only Sayyed Ammar al-Hakim, the most docile of all those who have been contacted, is very willing to do so. It seems that the chances of Haidar Abadi to extend his mandate for another four years are decreasing by the minute. Iran and its allies, or rather the anti-American parties in Iraq among the Shiites, Sunnis and Kurds, still have the upper hand. There was a time when both Iran and the US agreed on the same candidate. Today the US has declared an economic war against Iran, with disastrous consequences for the Iranian people and the local currency. The embargo will start in early August and will be tightened in November. Therefore, Iran can not accept a hostile government in Baghdad, and the US finds it difficult to leave Iraq under Iranian influence, especially as this will negatively affect the outcome of their unilaterally declared embargo. After all, Iraq can help sell Iran’s oil and expand trade with Tehran, eroding Donald Trump’s plan to force the “Islamic Republic” into submission. In addition, the US feels very uncomfortable with the Iraqi militias, the Hashd al-Shaabi, who were set up in 2014 to fight IS, following the appeal of the Great Ayatollah Sistani. These irregular troops are – rightly or wrongly – accused of being under the command of Iran. They took positions along the border between Iraq and Syria and on June 18, Israeli jet fighters bombed and destroyed the headquarters of that Hasd al-Shaabi at the borders with Syria. In any case, there is a strong suspicion that the politicians of the US, Iran and Saudi Arabia have agreed to keep Iraq weak and politically divided. After all, a stable Iraq could become a power again in the region, which neither of these countries wants. After all, a strong Iraq could be a threat to Israel and neighboring countries in the Middle East, mainly Saudi Arabia. Iraq can not – in the eyes of the Saudis – become strong again while it is in the grip of the Shiites and under the influence of Iran. It is therefore more desirable to have a divided Iraq, so that a coalition of Iraq with Iran and Syria against the Saudis in the region is less powerful. Iran is also afraid of Iraqi politicians who are enthusiastic buyers of American weaponry. After all, these weapons could turn against Iran. After all, American troops, mercenaries and observers are still numerous. So Iran supports some of the strong militias within the Popular Mobilisation Units, who can defend Iraq against American hegemony. Iraq threatens to get a shaky and divided government. 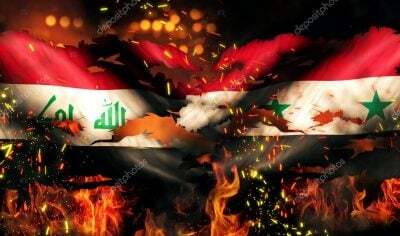 The parliament is already under the control of the militias in most key positions, a scenario that most foreign players involved (US, Iran, Saudi Arabia) like, because each of these countries now has strong allies in the Iraqi political forum, allies who can drink each other’s blood. The Iraqi people remain at the mercy of the interests of geopolitical forces, the hunger for profit of the oil companies and corrupt politicians in an occupied country. Iraqis continue to bear the full burden of 28 years of sanctions, wars, misery, death, destruction, chaos and extreme neoliberalism. However, the population remains alert, stands up again and again against the inhumane situation in which it was forced and wants a fairer redistribution of the available resources. The demonstrators also repeatedly resisted the division of the country, against the sectarianism imposed from above and against foreign interference. The peace movement and all progressives have the duty to support the legitimate aspirations of the Iraqi people in resistance, even though the situation in Iraq is presented as “complicated” in the media. The claim for reparations remains necessary and any support for the corrupt Iraqi regime by Western governments must be rejected. Dirk Adriaensens is a member of the executive committee of the BRussells Tribunal. Between 1992 and 2003 he led several delegations to Iraq to observe the devastating effects of the UN sanctions. He was a member of the International Organising Committee of the World Tribunal on Iraq (2003-2005). He is also co-coordinator of the Global Campaign Against the Assassination of Iraqi Academics. He is co-author of Rendez-Vous in Baghdad, EPO (1994), Cultural Cleansing in Iraq, Pluto Press, London (2010), Beyond Educide, Academia Press, Ghent (2012), Global Research’s Online Interactive I-Book ‘The Iraq War Reader, Global Research (2012), Het Midden Oosten, The Times They are a-changin ‘, EPO (2013) and is a frequent contributor to Global Research, Truthout, Al Araby, The International Journal of Contemporary Iraqi Studies and other media.